I suppose I shouldn't be surprised anymore by the greatness of each new release on Analog Africa, but this Frankfurt label just keeps knocking me out. 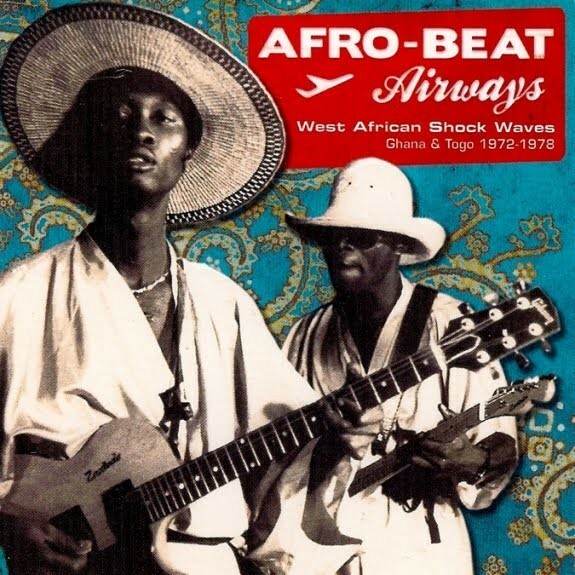 The latest salvo from Analog Africa's proprietor, crate digger supreme Samy Ben Redjeb, is Afro-Beat Airways: West African Shock Waves, a bounty of post-Fela music cut in Ghana and Togo between 1972 and 1978. Redjeb has distinguished himself and his label not just by his perspicacity but also by his willingness to invest considerable time and energy tracking down the producers and musicians who made the incredibly rare records he finds. His hands-on approach puts him in a great position to tell the story of the music, or some fraction of it, in his voluminous, handsomely produced liner notes. Before listening to the slew of West African reissues on Analog Africa and Soundway, the superb British label run by DJ Miles Cleret, I didn't know how widely Afrobeat and its kin had spread in that part of the continent. And I would've guessed that the well of post-Fela discoveries would've run dry by now, especially given the relatively large audience for Afrobeat abroad, but the 14 killers Redjeb collects here prove otherwise. There are some artists who'll be known to fans who are already eating this stuff up—K. Frimpong, Ebo Taylor, Uppers International—but since it seems like just about anyone was able to produce at least a few minutes of genius during this era, it'd be foolish to overlook unfamiliar names. It takes a lot to get me excited about yet another Afrobeat collection these days, and Afro-Beat Airways delivers: every track departs gloriously from the genre's formula, whether that means a gorgeous, slow-moving chorus that emerges suddenly from the imperturbable groove (Frimpong's "Me Yee Owu Den"), a faster, more James Brown-derived attack (Marijata's cowbell-fueled "Break Through"), or a heavy psych-funk vibe (Itadi's massive "Live in Other World"). 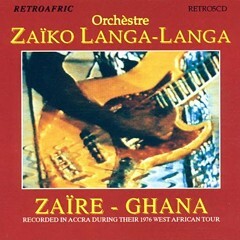 Even though the instrumental elements of Ebo Taylor's "Odofo Nyi Akyiri Biara" initially sound like pure Fela, the vocals occupy their own space with a catchy melody and a smooth, almost crooned delivery—and the juicy guitar solo is as cutting as it is elegant. I could go on and on, but the point is that a compilation of obscurities like this one is precious because of the little details—the basic Afrobeat rhythm is familiar (maybe too much so), but the tweaks each artist brought to the groove make the tunes stand apart.